Magento is one of the leading online shopping cart software on the market today. Also known as an eCommerce platform, Magento is open-source and was developed in PHP. Nearly one out of four online businesses use Magento as their platform of choice. With such popularity, one would expect a pretty robust software. Let’s take a look at the features along with the benefits and downsides of this platform in our Magento review for 2016. Community Edition: Their most basic offering, Community edition is free to download and has no yearly costs unlike other options. Despite not having a price tag, the community edition is loaded with features and comes with enough options to satisfy just about any online store owner. However, this edition does not come with inherent PCI compliant capabilities, meaning that you’ll need to perform specific workarounds if you process an online payment. Enterprise Edition: The next level up, enterprise includes all the features that Community has, plus much more. This solution was created for large online stores with many products. It comes with complete technical support from the Magento team.It comes with secure payment bridges, fast product caching, and better functionality than its sibling. When you’re just getting started, it’s hard to go wrong with free software. Magento can be downloaded for free and there are no yearly payment obligations. Magento has a tremendous amount of features for free software. In fact, it probably has more features than most other eCommerce solutions currently on the market. And these are just a handful of what Magento offers. Click here for a complete list. As you can see from the previous list, Magento packs quite a punch when it comes to features. If you need a specific function, it can probably do it. Still need more? 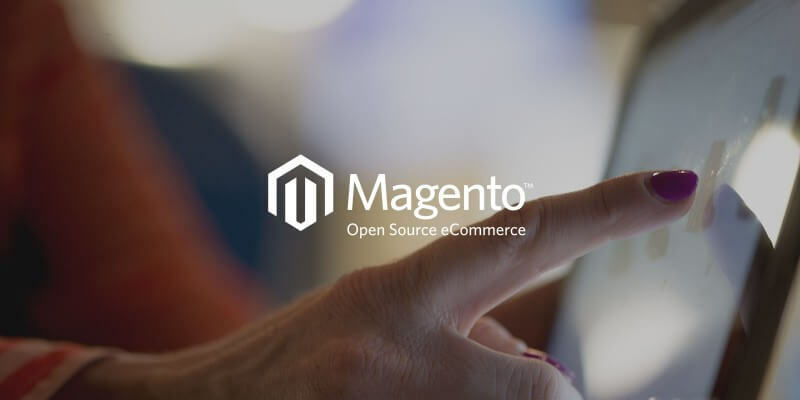 No problem, unlike proprietary online store software, Magento is completely open source. This means you have full access to the source code and you’re able to make changes as you see fit. Unless you’re also a developer, you probably won’t be setting up Magento on your own. Compared to other online store software, Magento isn’t quite ready out of the box. It’s complicated and if you’re in the initial setup phase of a larger platform, be prepared to hire a team of developers. Making adjustments in this platform isn’t user-friendly either. You’ll need to hire an outside developer or keep one in-house every time you want to make changes in your store. Unlike Shopify, Magento doesn’t have much of a pricing structure. Your only two options are the free Community version and Enterprise. Speaking of cost, Enterprise is expensive. A license for Enterprise will run you about $18,000 USD per year. License aside, expect to pay much more if you need to hire an eCommerce development company to set it up for you. Magento does not provide any hosting options on both Community and Enterprise. This means you’ll still need to find a web hosting company to house your online store. Summing up our Magento eCommerce review, the answer to that question is that it depends on the scope of your business. A new business opening a small online store may want to steer clear of Magento and instead, choose one that is more user-friendly. If you’re operating a large-scale eCommerce shop with a large budget, then Magento may be the most appealing option. Discuss these options with your web development company in order to come up with the best solution for your brand. Here at UKIE WEB, we provide eCommerce development services for businesses both large and small. Whether you want to use Magento, Shopify, or another online store platform, our team can get you there.